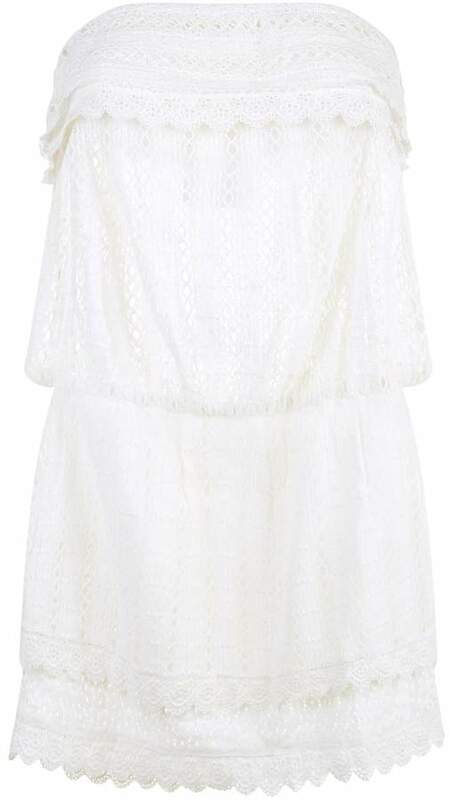 Elizabeth Hurley - Bring effortless feminine flair to your vacation essentials with this crochet dress from Elizabeth Hurley. Imagined in soft cotton for optimum poolside comfort, the semi-sheer style boasts a slimming elasticated waistband and scalloped trim. The all-over lace crochet and bandeau neckline brings a flirty edge to the classic style and layers perfectly over a bold swimsuit.